2003 EU Motown vinyl issue- Feat. Queen Latifah, Angie Stone en Bahamadia. 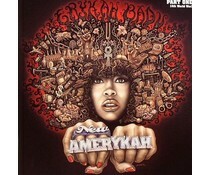 As usual, Erykah Badu hasn't disappointed us. This is another young talented black women with a message for her listeners.